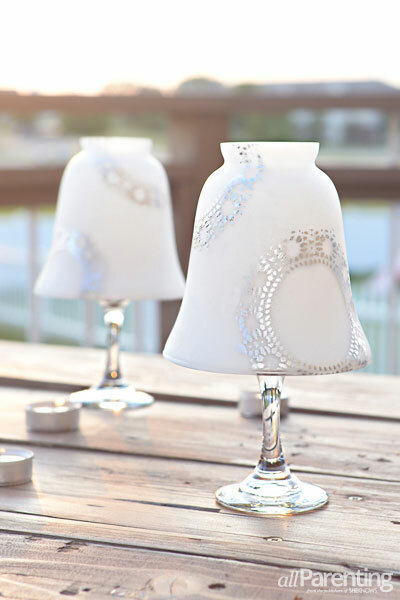 Whether you're dining indoors or out, a candlelit centerpiece is always an elegant touch. 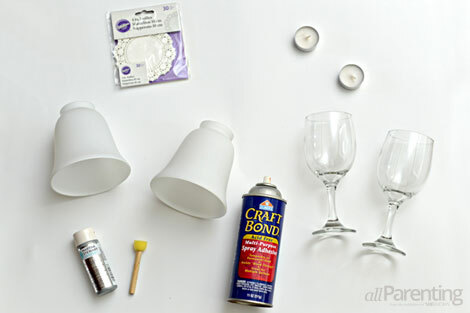 Before your next party, whip together these easy and inexpensive wine glass candle holders! There's something about candlelight that adds an extra special touch to even an ordinary dinner. 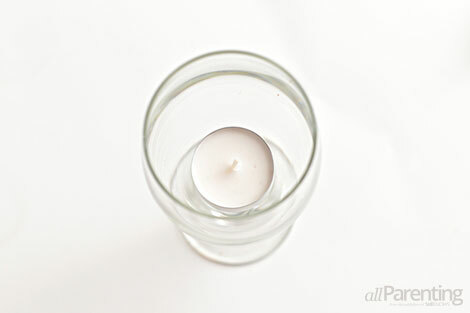 Add extra elegance to family meals with wine glass candle holders that you can make yourself! 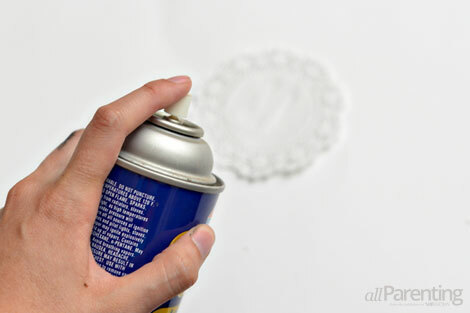 Start by lightly spraying one side of the doily with the spray adhesive. Spray a light layer of adhesive — just enough that the doily is tacky, but not wet. Stick the doily to the side of the glass shade. 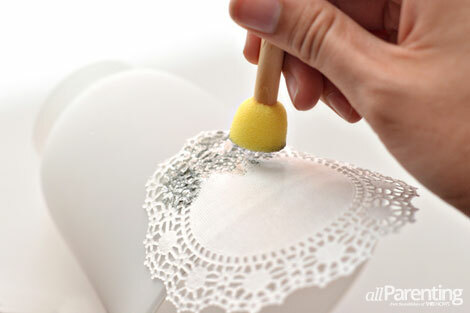 Press down along the edges to make sure that the intricate parts of the doily are stuck to the glass. Dip your stencil brush into the silver paint. Lightly dab the brush over the doily. 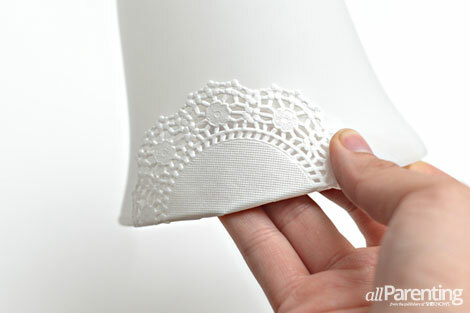 Remove the doily and repeat these steps with more doilies until you have covered the glass shade with the stencil design. Place a tea light in the bottom of the wine glass, light the candle, and then place the glass shade over the wine glass for some instant outdoor ambiance!